CARLTON hopes Ikon Park will become the home of women's footy thanks to a new $15 million federal government grant. Club president Mark LoGiudice announced the injection of funds prior to the Blues' AFLW clash with the Crows at their spiritual home on Sunday afternoon. Federal Treasurer Josh Frydenberg and fellow government ministers Kelly O'Dwyer and Bridget McKenzie were also on hand for the announcement. The Victorian government had already pledged a $20 million upgrade of Ikon Park prior to last year's state election, though those funds were contingent on the federal government providing a further $15 million. New state-of-the-art facilities to make Ikon Park the centrepiece of women's football top the list of priorities, as well as major improvements to the lighting and surface. Other improvements are expected to the grandstands and broader precinct to bring the derelict spectator facilities up to a standard acceptable to modern fans. "It is so important for our elite female athletes to have access to purpose-built high performance facilities to develop their full potential as champion athletes," Frydenberg said on Sunday. The Treasurer said he was pleased the redevelopment would also provide training and education facilities for women to further their careers as officials. "We'll continue to invest in the infrastructure which provides the level of support our female athletes and coaches need to achieve their dreams because they need our support," he said. "This investment provides all Victorians with the opportunity to be part of the growing competition of AFLW, whether this be through playing or coaching pathways, fan engagement or crowd attendances," LoGiudice said. "The commitment also ensures that AFLW games, whether they are season-openers or Grand Finals, can be played at a facility that will help us take the women's game to a whole new level for our players, coaches and fans. "Our new integrated facilities will provide all of our athletes across AFLW, VFLW, AFL and VFL the same professional experiences and opportunities." Ikon Park hosted the historic opening game of AFLW in 2017, attracting a lock-out crowd of more than 25,000 fans. 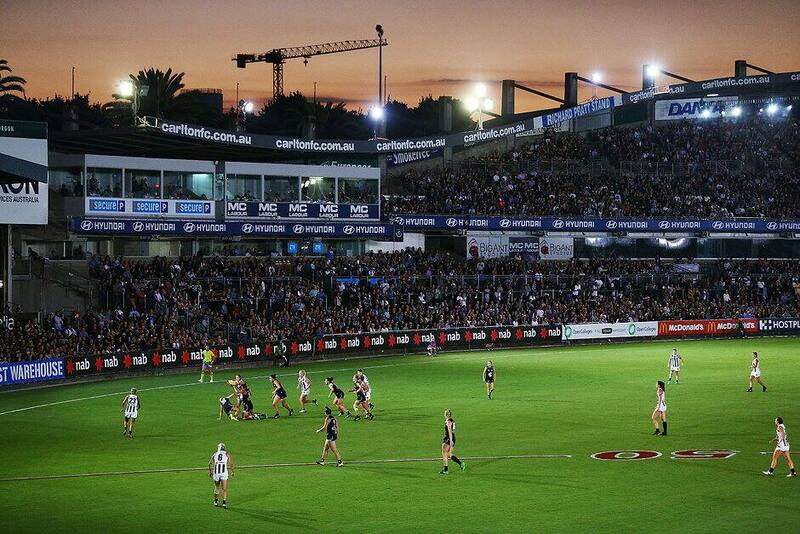 Depending on how the upgrade plays out, it could reignite the debate about the suburban venue being used for lower-drawing AFL games in the future.